Thermoplastic spacers are becoming ever more important in terms of energy savings. With Ködispace and Ködispace 4SG, you get a top-of-the-line “Warm Edge System”. It represents the best quality in the production of insulating glass with thermoplastic secondary sealing. For 20 years, KÖMMERLING has been supplying Ködispace as a thermoplastic Warm Edge System to customers all over the world. 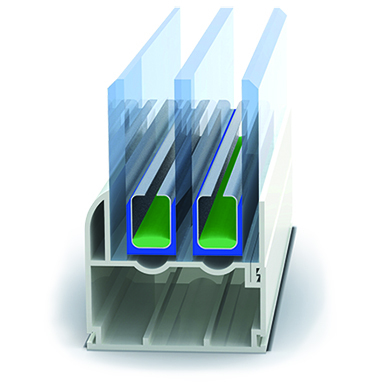 The innovative sealant Ködispace replaces the traditional spacer profile made from aluminium or steel. It optimally fulfils the function of a spacer as well as that of a sealant and eliminates the metal thermal bridge. This so-called “warm edge” is extruded directly from the drum onto the glass and represents long-term gas impermeability and optimal insulation values. 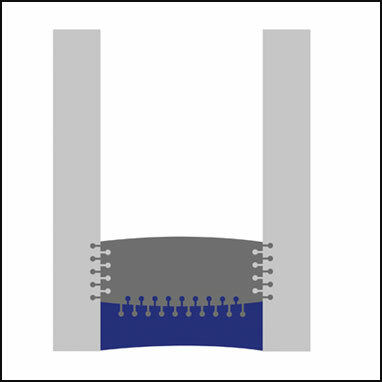 In addition to maximum energy efficiency, the flexible thermoplastic spacers offer unlimited design possibilities and unique aesthetic properties. Whether your windows are curved, round or square: Ködispace is the optimal solution for all window shapes and sizes, with the highest level of quality. For use in glass façades, KÖMMERLING has developed its tried and tested warm edge system even further and has again established the standard for insulating glass: Ködispace 4SG. Unlike traditional thermoplastic spacers, this reactive butyl forms a chemical bond both with the silicone secondary sealing used in glass façades and with the glass surface itself. In this way, Ködispace 4SG bonds solidly with the façade pane and ensures long-term gas impermeability. This innovative sealant now even allows the construction of structural glazing façades with the highest energy efficiency. The spacer and sealing system Intercept is one of the first warm edge systems and was developed in the USA. The Intercept technology is characterised by the spacer being produced in an automated process directly during the manufacturing of insulating glass. To this end, a metal tape is shaped into a U-profile. 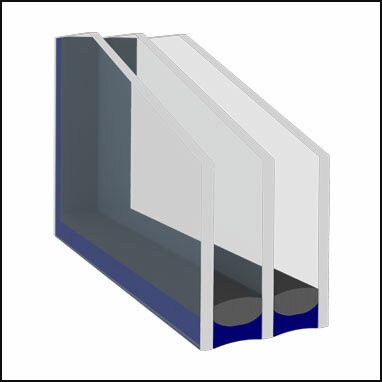 A desiccant matrix is applied on the interior of the U-profile in order to retain the residual moisture in the pane space and keep it dry permanently. The exterior coating of the U-profile with hotmelt ensures the necessary bonding and sealing of the curved frame with the glass, prevents moisture intrusion from the outside and is responsible for long-term gas impermeability. For the Intercept concept, KÖMMERLING has developed a specially customised range of sealants consisting of a desiccant matrix and insulating glass sealants, either as a reactive or as a conventional version.